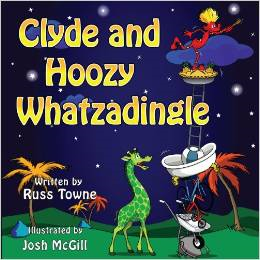 It’s been a while since I provided an update to you about my children’s book projects so this post will be longer than most. A new project I hadn’t mentioned yet because I only came up with the idea two days ago is a children’s book based on the true story of a harrowing time in the lives of my family. Its working title is The Beach That Love Built. It’s about a young girl who has been hospitalized for a long, long, time who dreams of having a birthday party on the beach with her family, her friends, and her little dog. The night before the big event the venue is effectively closed to private parties and no alternative site works. The girl is heart-broken, but friends save the day in a very special way. I’ve finished the rough draft and sent it to my editor. Another story under development is about a horse on a carousel named Florabelle. She is tired of just running in circles and going up and down all day. She dreams of breaking free. One day her dream comes true and she starts a great adventure but the world is a big and sometimes scary place, and when a thunderstorm happens, the cold, drenched mare just wants to get home. I’m still writing the draft of the story, and haven’t yet come up with a working title. A Day in the Shade of a Tickletoe Tree: The illustrator has finished the initial sketches and is part-way through creating the full color illustrations. When he’s done, the next step will be for the interior layout and cover design to begin. Tickletoe Tree Poetry: The storyboard is complete and I need to determine which of the existing illustrations to use so the layout can begin. 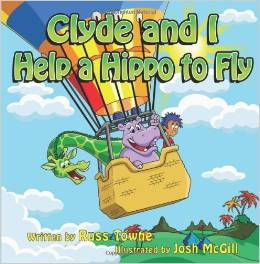 Clyde and I, and Clyde and I Help a Hippo to Fly: Some of the facing pages have no illustration and a lot of text. I want one of every two facing pages to contain an illustration so will soon be requesting additional illustrations for both books. The cover illustrations of The Grumpadinkles placed so much emphasis on the grumpiness of the couple that few people wanted to pick it to check it out. I’ve selected new illustrations for the cover that are friendlier and more inviting. I recently did the same for Zach and the Toad Who Rode the Bull and now people appear more inclined to read it. 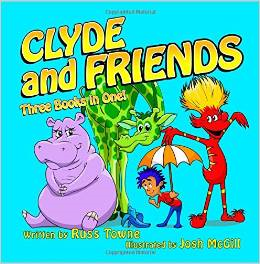 All my children’s book titles are now in three formats (hardcover, softcover, and eBooks) except the coloring book. As for my other genres, I’m creating a hardcover version of Touched, my anthology of fiction stories, and I just completed creating an eBook version of it. 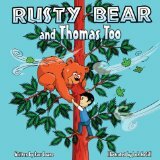 This entry was posted in Book Project Updates, children's books, Children's Books I Wrote, children's stories, Children's Stories Under Development, Grumpadinkles, Uncategorized and tagged books, children's, project, stories, updates. Bookmark the permalink. 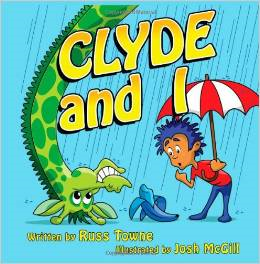 One of my favorite children’s authors has some exciting things in the works.